Netflix is one of the best (online) places to go if you fancy watching a documentary (film or series, feature-length or short). However, the streaming service doesn’t often flag up the docs it offers. Senna follows Ayrton Senna’s racing career from the very beginning of his involvement in Formula One (F1). Asif Kapadia’s film takes us through Senna’s meteoric rise to the very top of his sport - despite the politics that often got in the way. The documentary also looks at how much Senna’s success meant to the people in his home country of Brazil - many of whom were living in extreme poverty and deprivation at the time. There is high, high drama here and controversy on top of controversy. The film is just so incredibly powerful and compelling - it is a masterclass in storytelling. Each piece of archive footage is perfectly balanced. Each segment of commentary (from all of the key players) takes the story forward towards the inevitable, tragic end. Indeed, the conclusion of Senna’s story looms large over every scene. It offers a glimpse into a world where such high risks are taken in the name of sport. Every driver appears more than aware of the potential for accidents and injuries. None more so than Senna who was often the first to speak up about issues of safety. However, each man is driven to compete - and to push themselves past the very limits of racing. As the film approaches its end, I always find myself desperately wishing for a different outcome. Of course, that was not to be. The film combines archival footage with rotoscopic animation - the action performed by a cast of young actors, based on the actual interviews of living survivors. The use of rotoscopic animation is extremely effective - drawing you into an even more intimate relationship with the people on screen. Restrepo chronicles the deployment of a platoon of US soldiers in Afghanistan's Korengal Valley. The movie focuses on a remote 15-man outpost, “Restrepo,” named after a platoon medic who was killed in action. It was considered one of the most dangerous postings in the US military. Over the course of 15 months filmmakers, Tim Hetherington and Sebastian Junger (author of The Perfect Storm), lived with the unit and shadowed their every move. As a result, Restrepo features some truly extraordinary footage. In 13th, director, Ava DuVernay, explores the issue of mass incarceration in the United States and the insidious evolution of slavery. DuVernay’s documentary looks at what lies behind this discrepancy. A series of fascinating experts and academics explain how, after years of fighting for freedom and equality, black communities are still waiting for change. 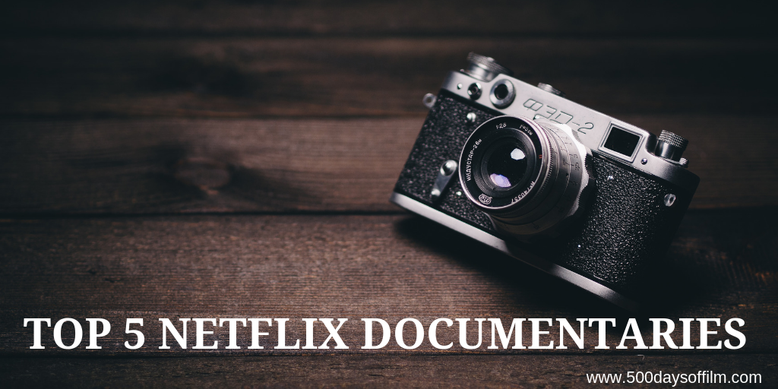 What do you think of this list of documentary films on Netflix?